For this Irish lighting and stage designer, the process of creating stunning visuals begins not with his eyes, but with his ears. There in the music of his clients lies the roadmap that will guide him in crafting his designs. Every show, he believes, is made up of musical moments, and every moment must be lit in a way that most honestly reflects its meaning. 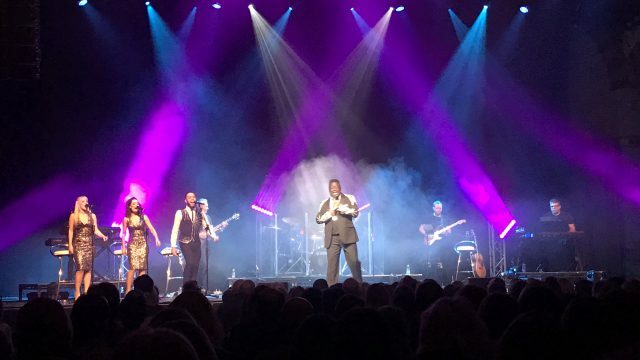 Being attuned to those moments, Douglas deftly weaves his lighting around the performance on stage, seamlessly moving from bold to subtle looks as the music demands. 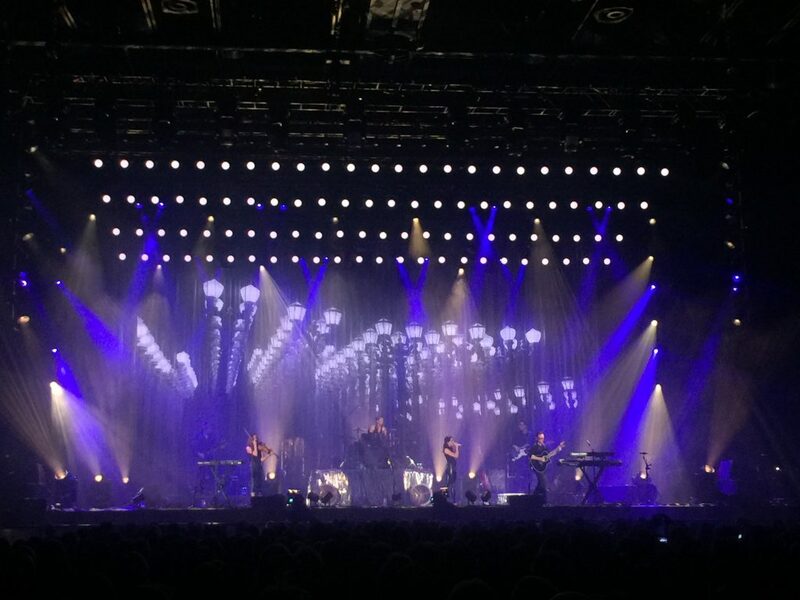 During the course of his career, he has followed this philosophy to create stunning lighting and stage designs for his longtime client The Killers as well as a variety of Irish artists like Wyvern Lingo, The Corrs and Hozier. His extensive portfolio also includes work as a lighting director for the Jonas Brothers, Alicia Keys, Rage Against The Machine and Motley Crew. Speaking to us from his company, Coruscate Lighting Design, Douglas shared his insights on a range of topics from choosing colors, to drawing on the power of dark space, explaining how each contributes to reflecting moments in light. Your business name, Coruscate means “vivid flashes of light.” You certainly provide that in your work. 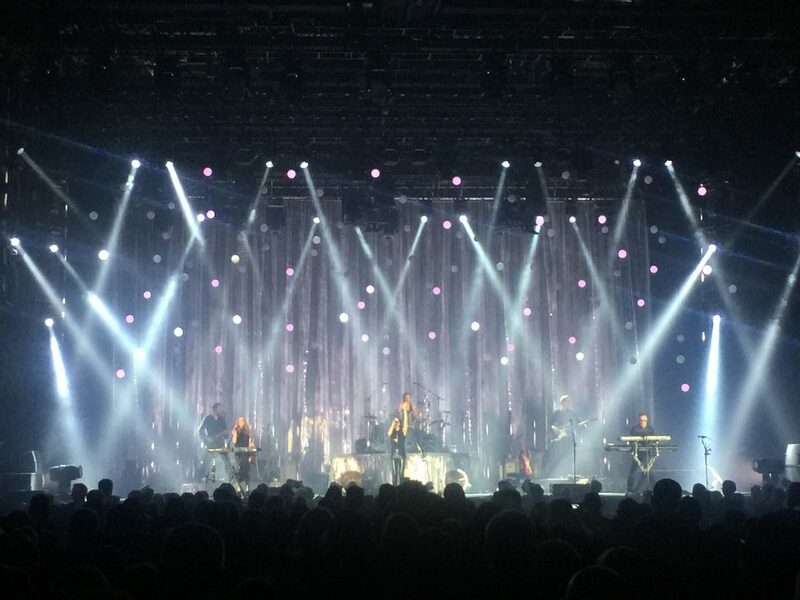 Yet some of your designs, such as your lighting for Wyvern Lingo make powerful use of dark space. Can you describe the role that darkness plays in your light shows? Even in your work for The Killers, which has a lot of intense high points, you create moments of intimacy with your lighting. How do you use lighting to cover a range of emotions? 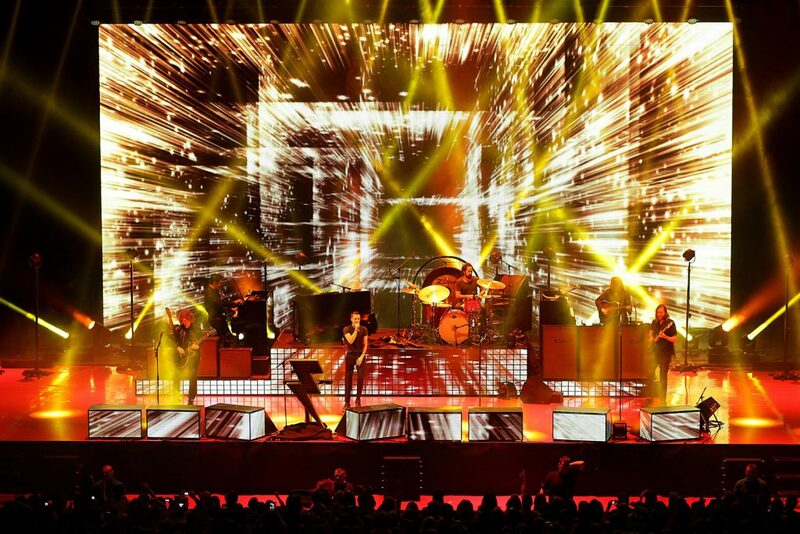 In The Killers’ 2016 appearance at T Mobile in Las Vegas you used neon sign lights as a scenic element. Are lighting and scenic elements being blended together more today? What do you design in? Where do you begin when you start a design? Is there something that you always look at first and then build out from there? How do you get inspired when you start a project? On the subject of inspiration — has being from a beautiful country like Ireland influenced your perspective on design? Back to your 2016 The Killers T Mobile show; you used a lot of greens and oranges, colors we don’t usually see in rock concerts. How do you decide on colors? Do you have favorite colors to work with? You’ve worked often with The Killers. Does familiarity with a band help in the design process? Do you have to like a band’s music to do a good job for them as a designer? You designed a Guitar Live video game, how does that compare to designing a concert? What are the three most important personality traits you need as a designer? We’ve always been impressed with how you balance video and lighting. What are the keys to doing that? What are your thoughts on projection video vs. LED walls? You also use lasers quite often. 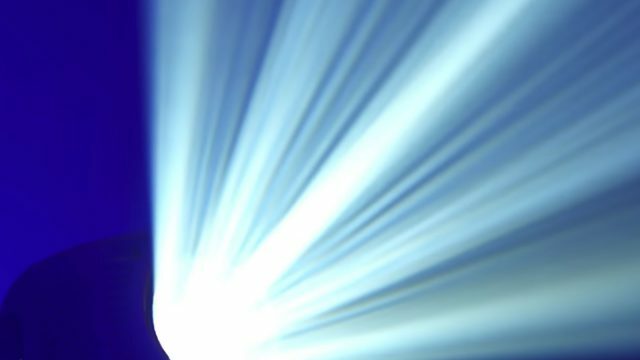 What do you see as lasers’ role in a lightshow? Can they be overused? 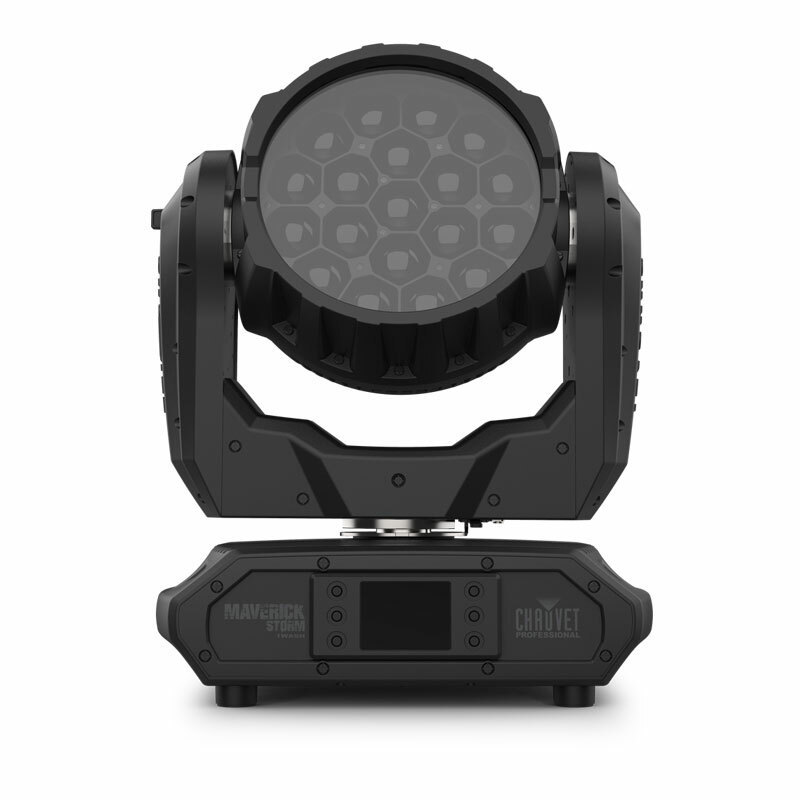 How did you get started as a lighting designer? If you weren’t a designer, what do you think you would have done? Is there a Steven Douglas design look? If so, how would you describe it? What do you regard as the highlights of your career?